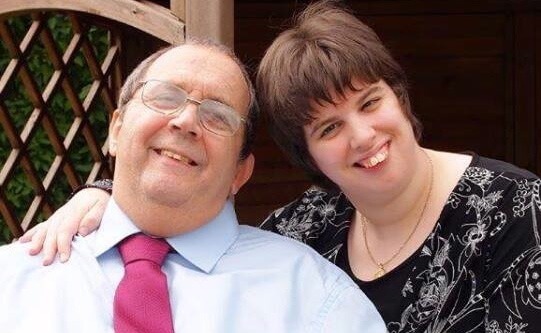 A very special couple are celebrating their fourth wedding anniversary this week, at the Leonard Cheshire Disability Home in Llangollen. Lauren O’Neill and Edward Hickman met at the home, where they are both residents, and were married exactly 4 years ago on 14th September. This week, they’re celebrating in style with a performance by their favourite band, the 1920s swing band The Charleston Charlies. Music in Hospitals & Care (previously Music in Hospitals) brings professionally performed live music into hospitals, hospices, day centres, special schools, nursing and residential homes. The national charity aims to create joy through live music and brings many therapeutic benefits to their audiences, as each concert is tailored to the individual needs of the audience. The charity has offices throughout the UK, and delivers around 5,000 live music concerts each year – around 500 of those in Wales. When the charity was established in 1948, the majority of concerts took place in hospitals; today, over 75% of their services are delivered in other healthcare settings that provide for the longer-term care of adults and children, such as residential homes, special schools and hospices.